(Q24N) By the time she saw her mother lying dead on the ground, Margarita Montserrat Salinas Murillo knew she had to take action. She was 27, staring down at the body of the 54-year-old woman whom she also considered to be one of her best friends. 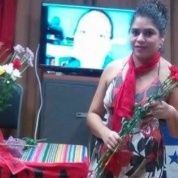 Montserrat, as everyone calls her, saw her mother, renowned leftist Honduran activist Margarita Murillo, riddled with bullets on August 27, 2014. Known simply as Margarita, the militant campesina organizer had just been shot by three individuals wearing ski masks who were believed to be connected to right-wing death squads. She had spent the day planting seeds under the scorching sun in the tropical farms of northern Honduras. Margarita’s backpack, which contained water bottles and other farming supplies, was left opened next to her on the volcanic soil, with all of its contents spilling out. 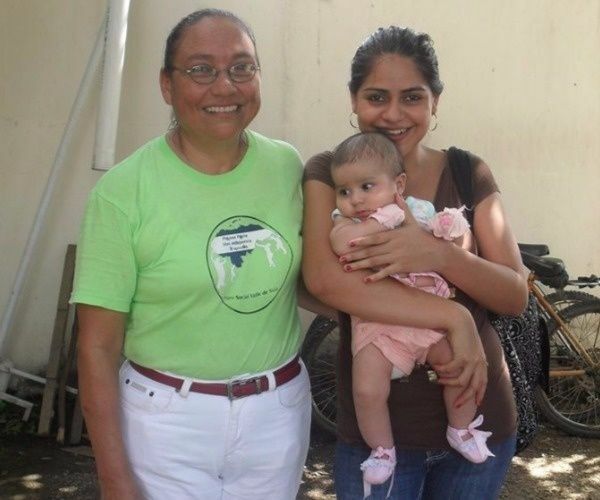 “It was the hardest moment of my life,” Montserrat told teleSUR during a recent interview. Born in 1960 in Honduras’ heavily-Indigenous Copan department, Margarita was raised by campesinos who struggled to make ends meet. Her family was so affected by poverty that they were forced to eat grass at times in order to survive, according to Radio La Primerisima. Margarita’s experiences as a young campesina, coupled with rising peasant-led leftist rebellions in Central America, thrust her into revolutionary politics. At the age of 13, she began organizing alongside the National Union of Peasants, fighting for land rights for Afro-Indigenous campesinos while helping them learn to read and write. In 1975, at the age of 15, Margarita participated in the March of Hunger, a mass demonstration held to demand that the right-wing Honduran military dictatorship distribute lands to campesinos. The demonstration, which later transformed into a peasant occupation of lands in the Olancho department, resulted in up to 15 students, campesinos and religious leaders being killed by the military. Margarita managed to survive the massacre by escaping. A year later, Margarita participated in another land occupation, leading to her arrest and detention by police. The 16-year-old activist was reportedly tortured, beaten and raped in jail by police officers, leaving her with three broken ribs and a fractured leg. That didn’t stop her from defending the interests of her people. “My mom was a fighter,” Montserrat said. Between 1976 and 1979, Margarita participated in several other land occupations across the country, eventually co-founding the Federation of Peasant Women. The proletarian feminist campesino organization had close ties to the Sandinista National Liberation Front movement in neighboring Nicaragua. Despite delivering her first child in 1980, she intensified her involvement in leftist social and political movements, especially as socialist revolutions began sweeping the rest of Central America. She later went on to have three other children. In 1985, Margarita helped create the National Center of Field Workers, an organization intended to unite campesino groups across Honduras in favor of nationwide land reform. Her revolutionary organizational work resulted in her getting arrested by police two years later, shortly after delivering her youngest child, Montserrat. 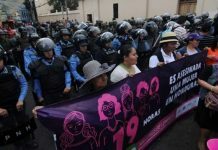 She was detained for five days in a Honduran military prison, where she was once again tortured, beaten and raped — she was left with severe injuries. Upon being released, Margarita immediately went into hiding in the capital city of Tegucigalpa, after which she was sent to Sandinista-run Nicaragua as a transit point to Havana, Cuba. In Cuba, she was granted temporary political asylum by the administration of former President Fidel Castro and received free medical treatment for her injuries. After leaving Cuba, Margarita traveled to El Salvador, where she assisted the Farabundo Marti National Liberation Front in their own struggle against a right-wing military state. She eventually returned to Honduras in 1990, living clandestinely until receiving government amnesty a year later. She then began working publicly for the Sula Valley Forum, a grassroots campesino organization, for over 18 years. Margarita’s fight intensified on June 28, 2009, when former leftist President Manuel Zelaya was ousted in a U.S.-backed military coup. “She gave up her life for the resistance movement against the coup,” Montserrat said. 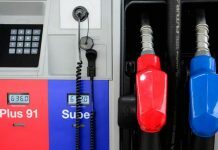 Despite her disdain for Zelaya’s center-right Liberal Party and her adherence to Marxist-Leninist thought, she recognized that his administration made efforts to improve conditions for the country’s poor. 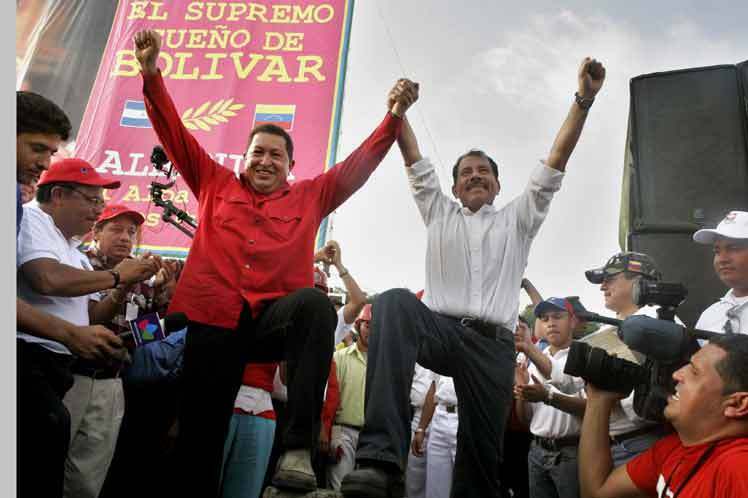 This included distributing lands to campesinos, creating social security programs and expanding rights for workers. For Margarita, these advances, albeit minor, needed to be defended at all costs. 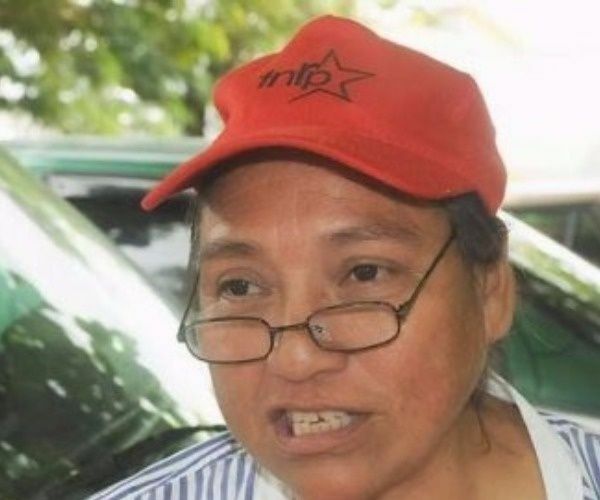 Joining millions of others who fought back against the coup, Margarita played a central role in the National Popular Resistance Front, FNRP, which held almost daily anti-government street protests in the months following the right-wing ousting. She also played an important role in co-founding the democratic socialist Liberty and Refoundation Party, LIBRE, the political arm of the FNRP. For several years after the coup, Margarita helped to establish LIBRE collectives across the country in an attempt to grow the resistance movement. This came after two of her sons, Franklin and David, were both kidnapped, tortured and beaten by pro-coup death squads — they were eventually released and fled to the United States. Margarita backed LIBRE’s presidential candidate Xiomara Castro, Zelaya’s wife, during Honduras’ November 2013 election. Almost nine months after Castro’s so-called defeat against President Juan Orlando Hernandez of the right-wing National Party, a loss which many claim was due to rampant electoral fraud, Margarita was found murdered. “In Honduran corporate media, they made it seem like she was assassinated because she was trying to steal lands. This wasn’t true,” Montserrat said. Just a few days after Margarita’s death, Montserrat knew she had to leave the country. She began receiving death threats over the phone from unknown men who would tell her “you’re next.” Others began following her home from work, asking about her political activities. With just US$300 to her name, Montserrat and her sister Kenia embarked on the journey that millions of Hondurans continue to embark on today: fleeing violence-plagued Honduras for a new life in the United States. They set off to travel from the verdant jungles of Central America, across the scorching deserts of Mexico onto the cold streets of New York City. Their journey was further complicated by the fact that Montserrat’s then five-year-old child suffers from rett syndrome, a rare neurological disorder that facilitates scoliosis, growth failure and frequent seizures. Nonetheless, she and her family marched forward. After months of traversing Mexico, they reached the northern city of Nuevo Laredo, which borders the U.S. state of Texas. 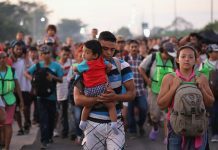 There, they marched across the passenger bridge that connects Mexico to the United States, handing themselves over to U.S. Immigration and Customs Enforcement authorities. They made the decision to turn themselves in because they couldn’t afford the roughly US$2,000 fee that coyotes charged to help people swim across the Rio Grande. For days, the group was interrogated and detained in a Texas immigration center. Montserrat and her daughter were kept in a cold cell, dubbed “the ice box,” where they slept only with the clothes on their back. “They didn’t provide any blankets and it was freezing,” Montserrat said. ICE officials eventually released the group, allowing them to begin applying for political asylum. Kenia, Montserrat and her daughter immediately moved to New York City, where they currently live with their brother David. Her other brother, Franklin, lives in Kansas. Upon arriving to New York City, Montserrat began meeting other exiled Hondurans who also left the country after the coup. In The Bronx, for example, she met hundreds of Garifuna Honduran women who were forcefully displaced from their ancestral lands on the Caribbean coast. Many of them, shackled with electronic tracking devices that monitored their every step, settled in The Bronx, establishing a burgeoning Honduran exile community. Today, Montserrat works alongside other exiled Honduran immigrants to raise awareness about the incumbent coup government. Together, they are actively campaigning against Hernandez’s presidential re-election bid and encouraging their community to vote for the leftist opposition alliance from abroad. The alliance includes LIBRE, the Anti-Corruption Party and the Innovation and Unity Party. Montserrat said she feels happy knowing that she is walking in her mother’s footsteps. “If we lose this fight, the fight against the coup government, it’s like she (Margarita) fought for nothing,” she said. But she also recognizes the grisly legacy of violence that the 2009 coup created. Hundreds of socialist, feminist, LGBTI, campesino, environmental and Afro-Indigenous activists have been murdered. This was recently exemplified by the 2016 assassination of environmental Indigenous leader Berta Caceres, who marched alongside Margarita against the coup. In the northern Aguan Valley region alone, close to 150 campesino activists have been killed since 2010. Reported cases of femicide have skyrocketed, with 12 of every 100,000 residents dying from gender-based violence. Moreover, at least 60 journalists have been killed since the coup. Margarita, a humble campesina from the Honduran countryside, become one of many martyrs of the Honduran resistance. And, as Montserrat affirmed, her mother’s legacy lives on in her own activism. “Sometimes it makes me sad telling my story and sharing my experiences,” she said.